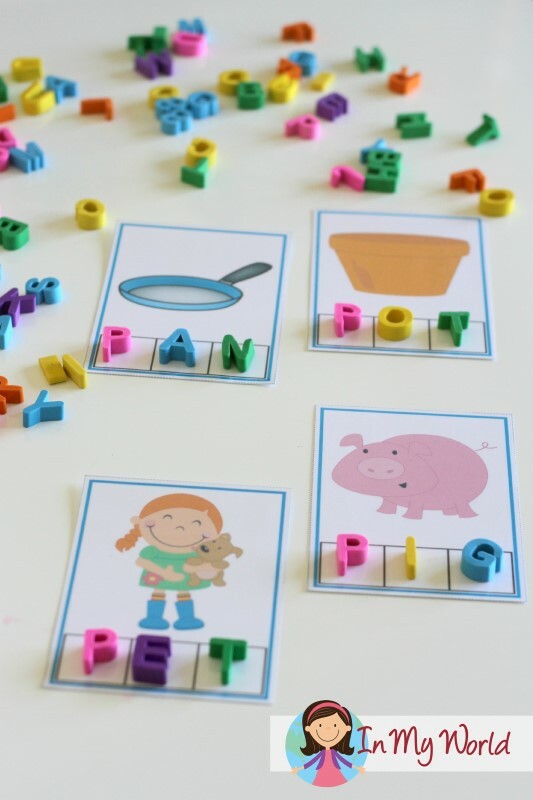 Welcome to our Preschool Letter P post! 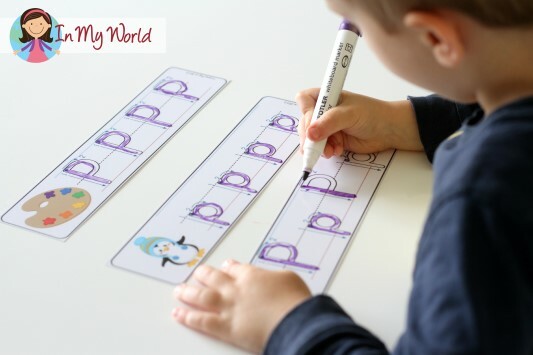 As we have done previously, Filip started by finger tracing the letter P play dough mat and then used whiteboard markers to trace the upper and lower case letters. 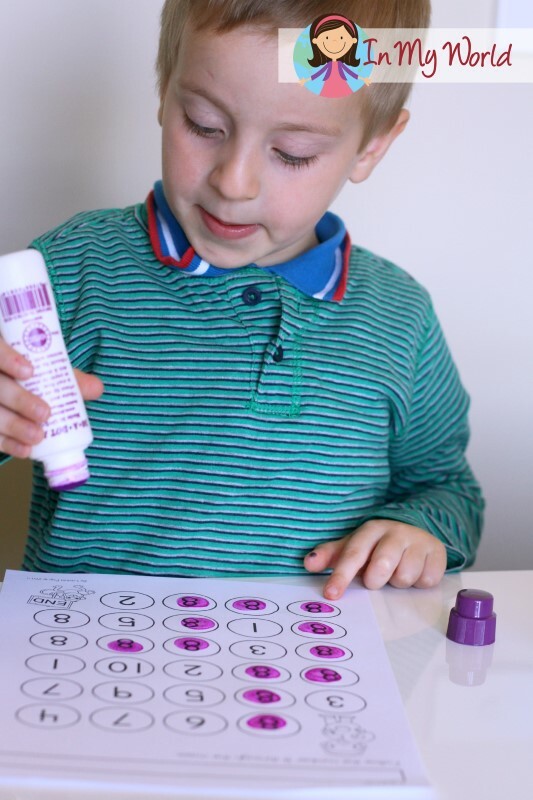 Filip then did an upper and lower case letter identification page from Dawn DeLorenzo’s Gumball Dot It! 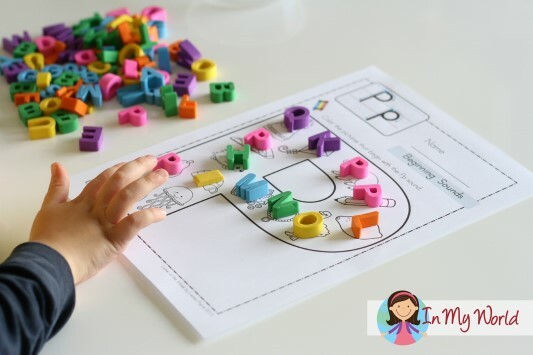 Letter P activity unit. 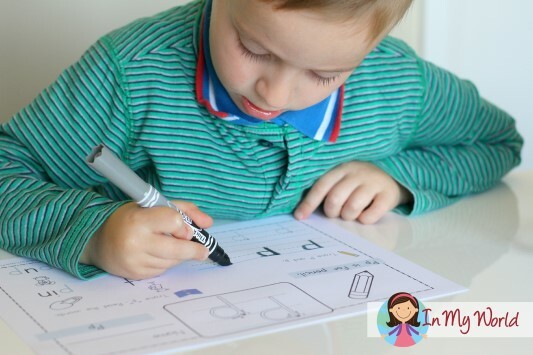 We then moved right along to practice handwriting on a smaller scale. 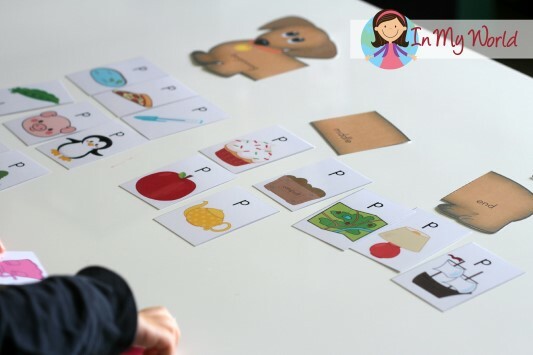 This week, we decided to use the write and wipe letter P cards from my Alphabet Write and Wipe packet. They were a big hit with my little man! No more frustrations if he got out of the lines; we just wiped it off and started again! Oh why didn’t I use these from the start? 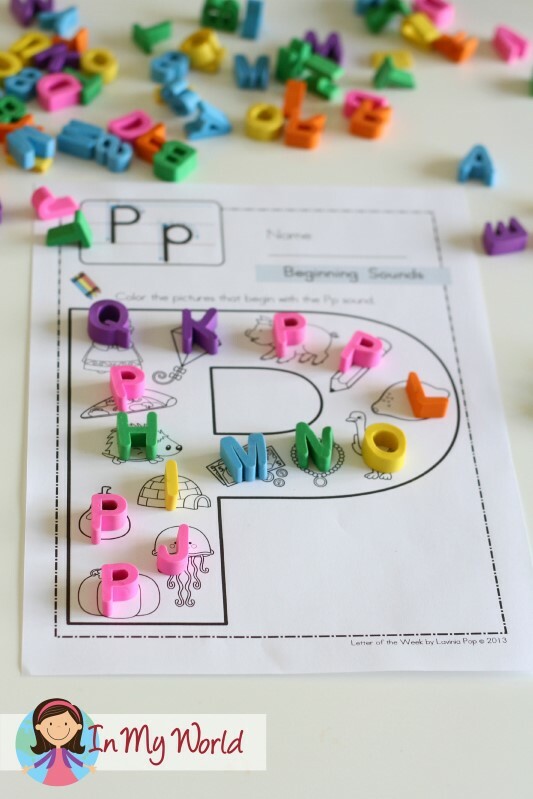 Next, we did a Beginning Sounds page using come super cute letter erasers. 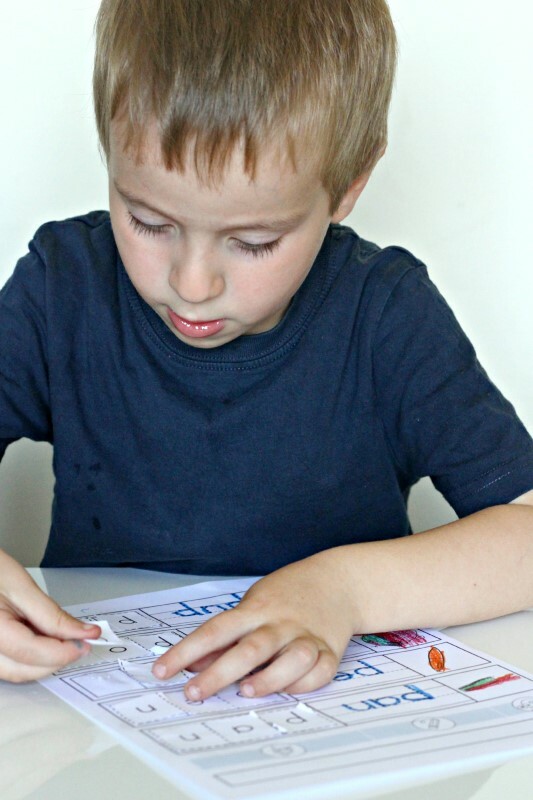 Filip sounded out each word, located the corresponding letter and placed it on top of the picture. 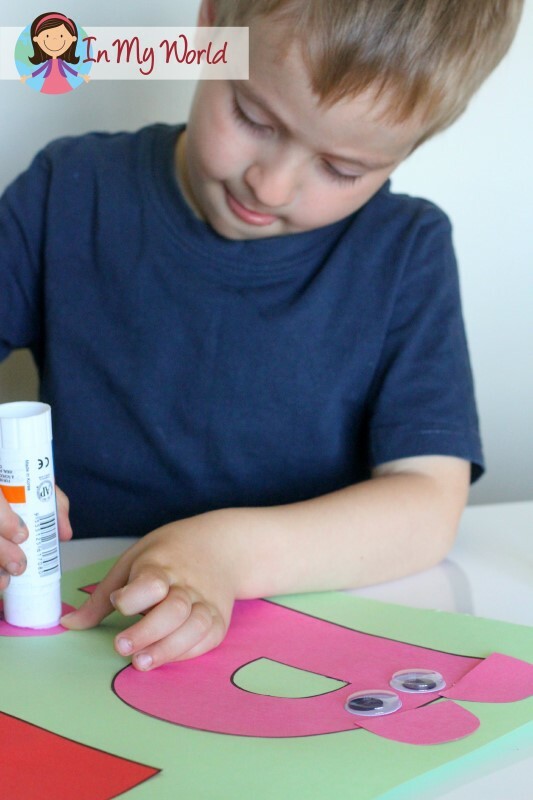 He REALLY enjoyed using the letters for this activity! We got our alphabet erasers from Office Works (Australia). Check out the end result below! We also played our Sound Hound Game, listening to the P sound in each word and placing it under the correct doggie section. And then, we moved on to our Number of the Week 8 Play dough mat. 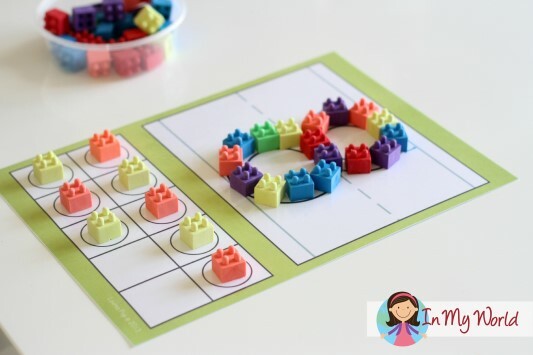 We used these coloured lego-type erasers to form the number 8. And here’s the end result – he even made an AB pattern with the ten frame. If you’d like to get yourself some of these funky erasers, I got mine from Office Works (Australia). 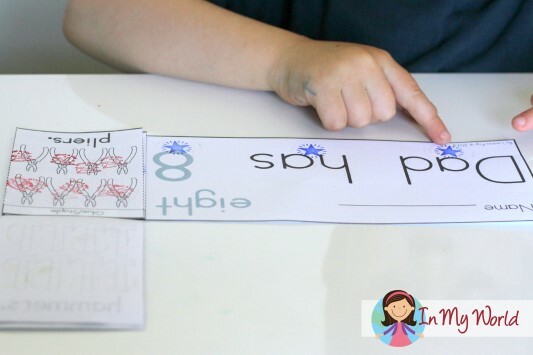 We finished the day with our Preschool Cut and Paste Number page. We started Day 2 with our CVC word slider cards. Filip can now sound and blend single words really well. 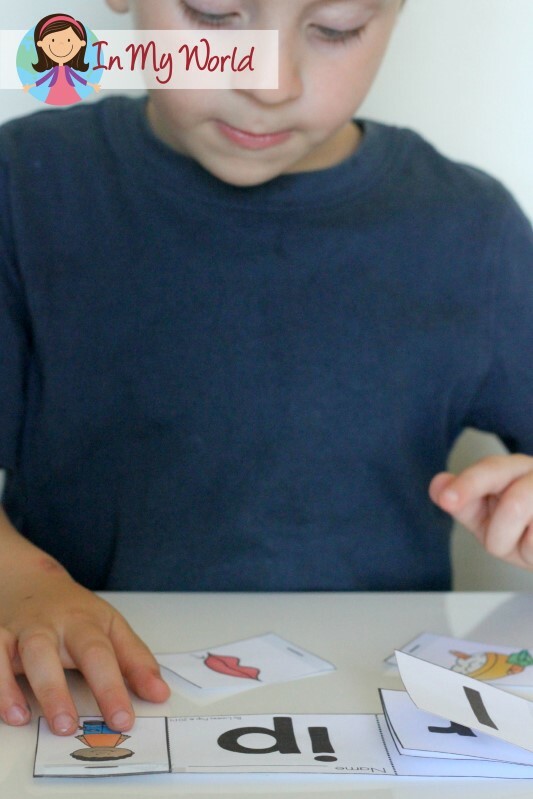 I’m hoping to introduce him to simple sentences by the time we reach letter T, but we will see how we go! 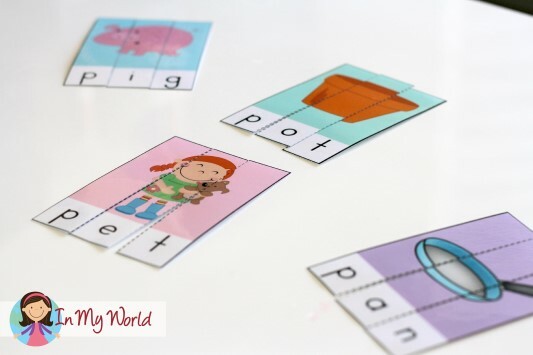 And build some CVC Words using our CVC Phoneme Segmentation Cards. 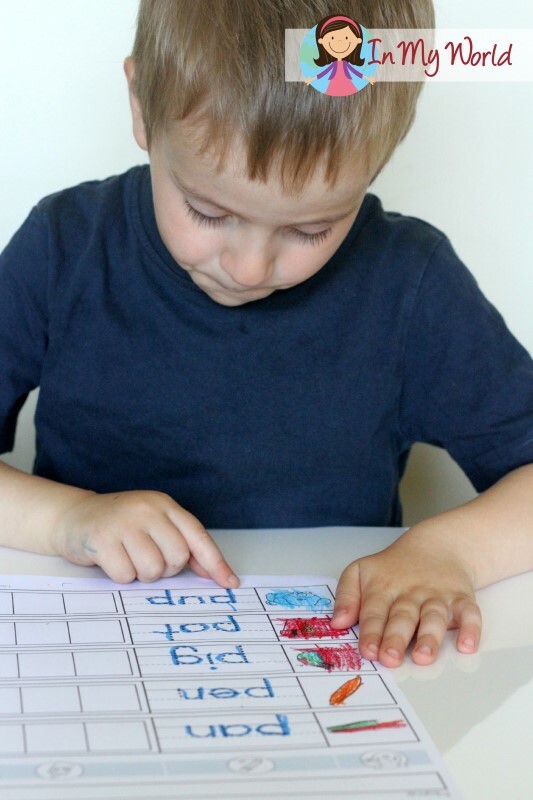 Here he is checking to make sure that the letters are all in the correct spot. 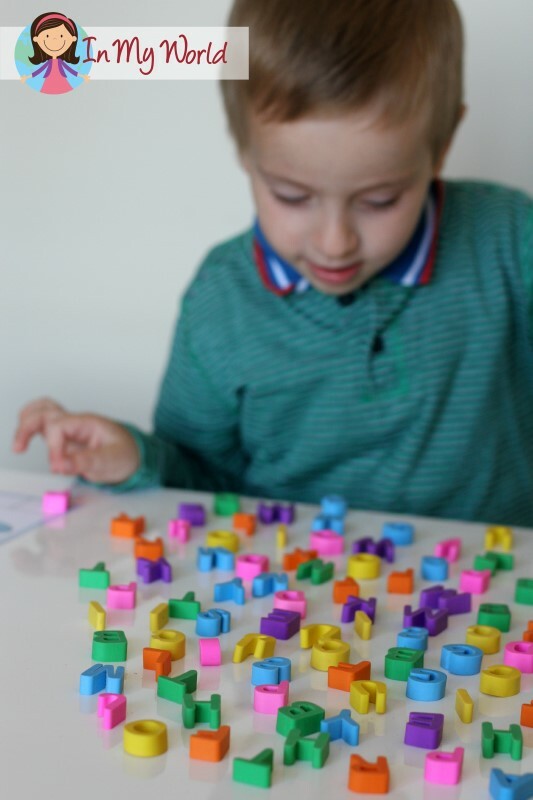 We moved on to the Number section of our day and Filip dotted his way through the number 8 maze. And then completed the number 8 page from my Number Concepts unit. On Day 3, we started with our CVC Word Work page. 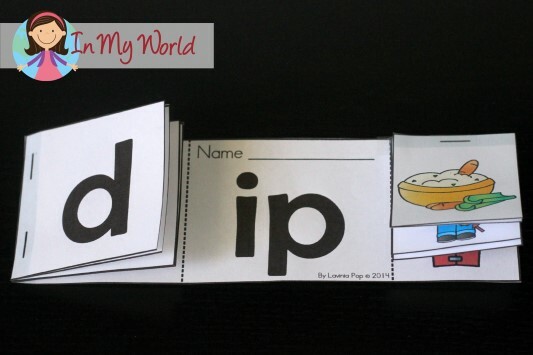 Filip then matched the pictures to the CVC words to build our -IP Word Family Flip-Flap book. 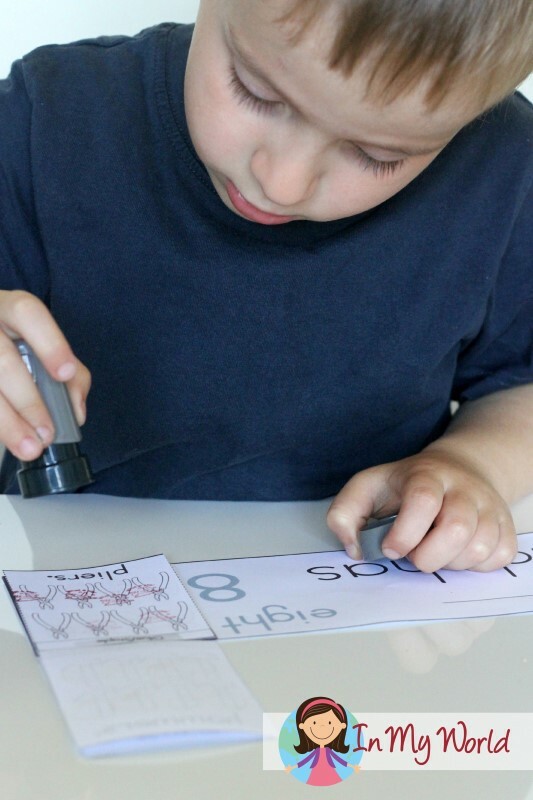 And then reading the booklet… he put a stamp at the bottom of each word to help with 1-1 correspondence! We finished off our week with a P craft! 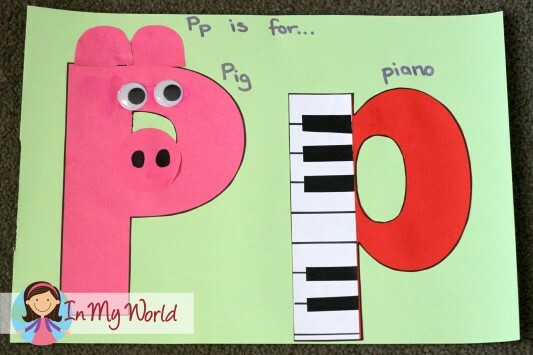 “P” is for pig and “p” is for piano. If you’re from the US or Canada or another country and have stumbled across erasers similar to what we have used in this post, I’d LOVE for you to let me know where you got them from! I love those erasers, the Lego ones are fabulous as well! 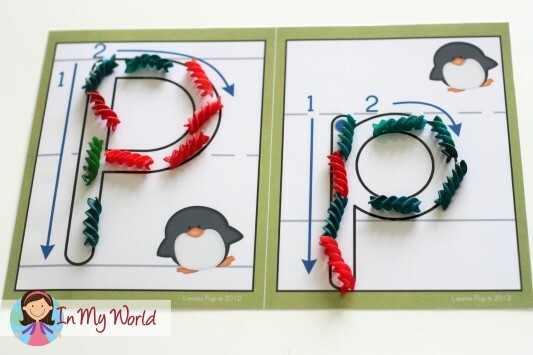 You and your little man have been really busy with the letter Pp, the coloured pasta looks awesome as well. How has Alex been going with his work?? Oh my! I need to get hold of those adorable erasers! For now, I will have to stick with alphabet stamps! Hi! I just stumbled across your blog. 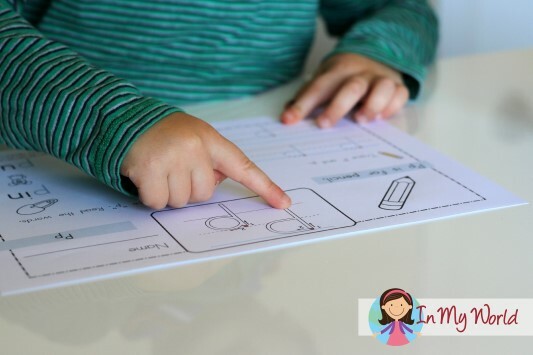 I am wondering if you will keep posting in regards to the preschool activities you’re doing with your son. 🙂 I hope so! Looking forward to see a post on the letter Q! 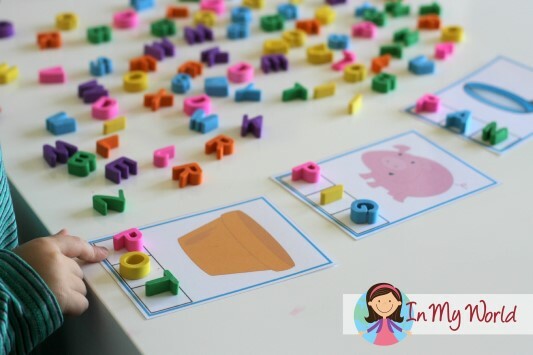 We’re did you purchase the number and letter mats! They are great! Love these! I downloaded your Letter B freebie awhile ago and just now got to open and take a look. What a great resource. I love these ideas as well. Wish I could find those erasers! So glad you liked the B set! Yes, the erasers are amazing; we LOVE them! I have really loved what your site has done to our home preschool. 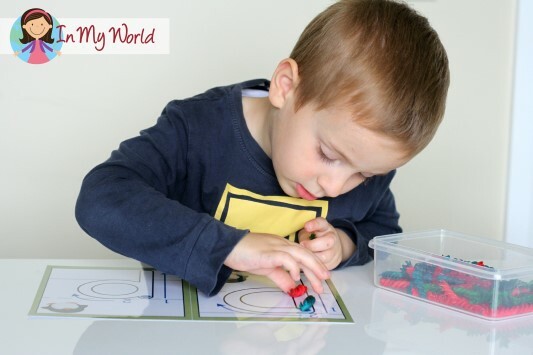 I love your activities and your worksheets. I was wondering, are you going to continue with the letters? I was hoping that we would not get ahead of you but now we are about to move onto Q. Will you soon have your Q post up? Or are these posts stopping at P? Again thank you for all that you have provided thus far. Thank you! I love what you do and all that you provide! Look forward to your series continuing. Wow. You have such super duper ideas. Thanks for sharing them. Hi, I found the ABC erasers on Amazon. Thanks for great ideas and products. 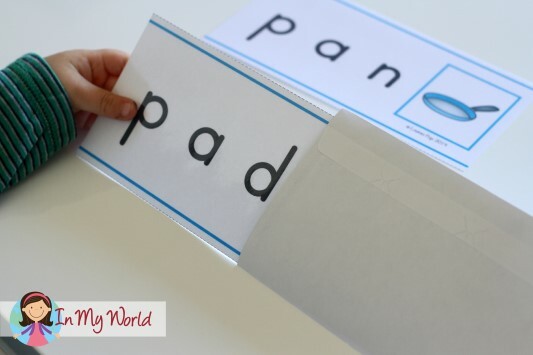 I like the flip-flap book! So cute! Thank you for sharing. I would like to buy them so I can help my son at home.